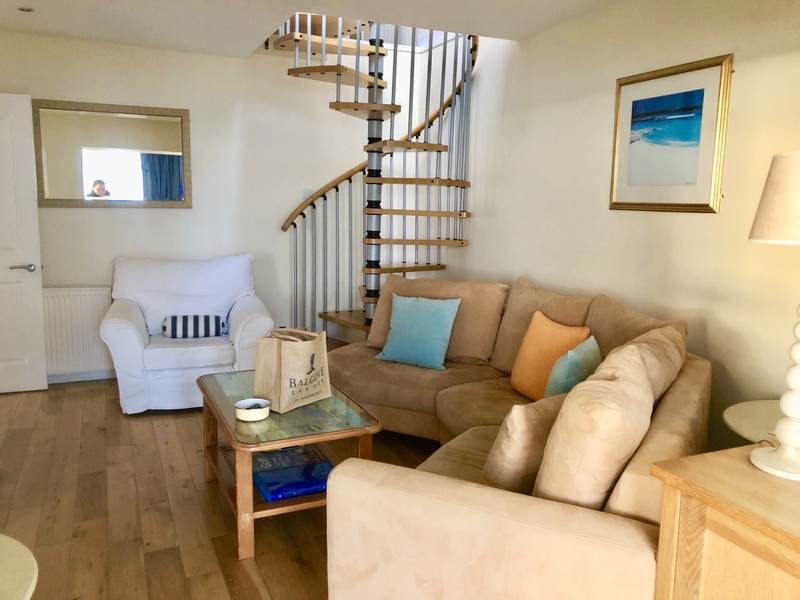 How would I spend my perfect weekend in Fife? That’s quite the question! I love small quirky cafes, beach walks and some history thrown in so that’s probably what my weekend would consist of. Waking up to a view of the Forth bridges would be fantastic, so I’d get a little Airbnb apartment in North Queensferry to spend the first night. I would head into Dunfermline and have dinner somewhere delicious such as Kushi’s or Dine at 29 before enjoying a show at the Alhambra. The Alhambra theatre in Dunfermline has a long and interesting history. First opening in 1922, it became a cinema in later years, then a bingo hall before finally closing in 2006. It was thought to be the end but was saved by a new owner and a campaign to raise funds for a refurbishment. 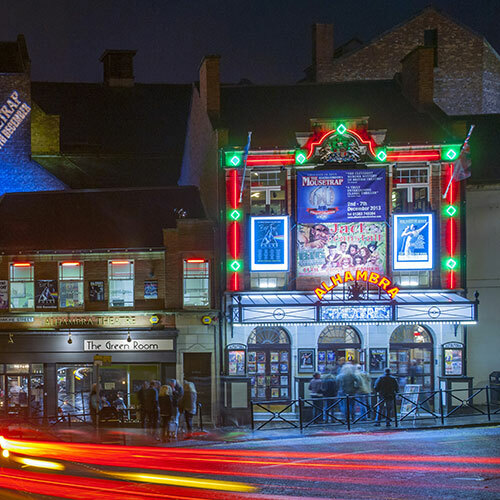 It’s now a brilliant venue which attracts national touring shows such as Chicago and Rocky Horror Picture Shows, comedy acts such as Jason Manford and Frankie Boyle and singers such as KT Tunstall and The Proclaimers. This little village was restored back to how it would have been in the 17th and 18th century by the National Trust for Scotland. The alleys and lanes are cobbled and narrow and the house are coloured in pinks, oranges and yellows. 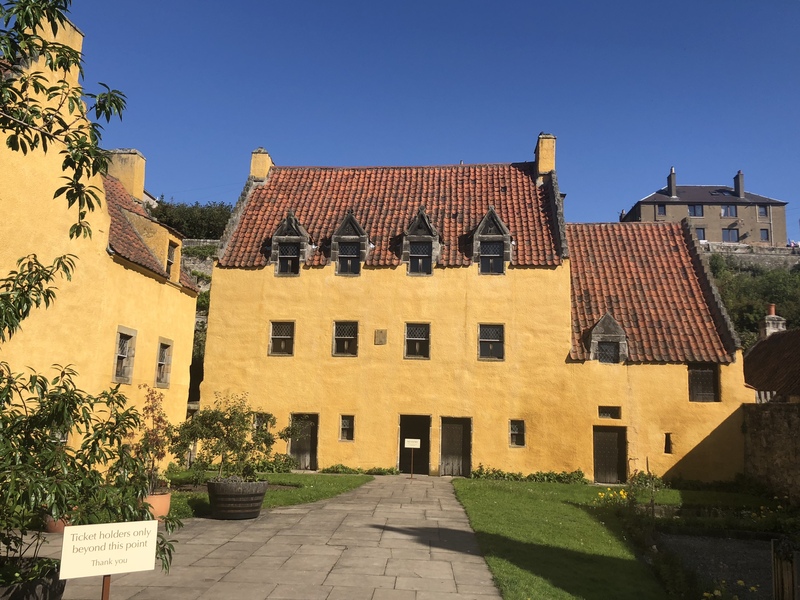 The Palace has a 17th century Jacobite garden where you can buy the organic fruit, veg and herbs and I love explore the old Abbey just up the hill. The Biscuit Cafe is tucked behind Culross Pottery and Gallery. It’s a cute wee cafe selling homemade soup, cakes, sandwiches and light meals and feels really homely. 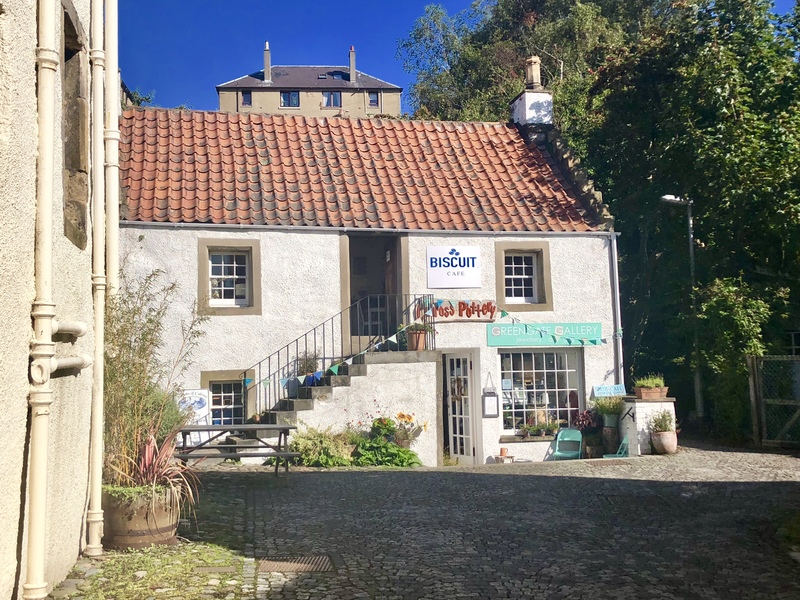 Culross Pottery is around the front of the building which was once a 17th century granary. Resident potter Camilla Garrett-Jones creates beautiful pieces in-house and there is lots to buy. Local artist also display their art in the gallery. One of my favourite things to do in Fife is to explore the coastal path so I’d probably choose to walk part of the section I like the best, from Ruby Bay to St Monans. This section let’s you have a nosy at the ruins of Ardross and Newark Castles and as well as Elie Lighthouse and Lady's Tower. The scenery is outstanding, with high dramatic cliffs and pretty beaches. This is a great little cafe and I love the black bean soup. The colourful continental decor makes it feel cosy and warm. The owner, Sophie Latinis, makes her own chocolates which are amazing, so I’d also buy some for later. She specialises in unusual and unique flavours and the results are pretty fantastic. I’d stay in the East Neuk, in a self catering cottage, with views out to the Firth of Forth. Seaview Cottage in Pittenweem is perfect. With decking outside with chairs to enjoy the view and the warm nautical decor, it’s ideal. With such a lovely place to sit I’d buy myself some fish and chips from the Pittenweem Fish and Chip Bar and eat in the garden and watch the sunset. If it’s a nice calm day in the summer I’d go to Anstruther and take a boat trip on the May Princess to the Isle of May to see the puffins. 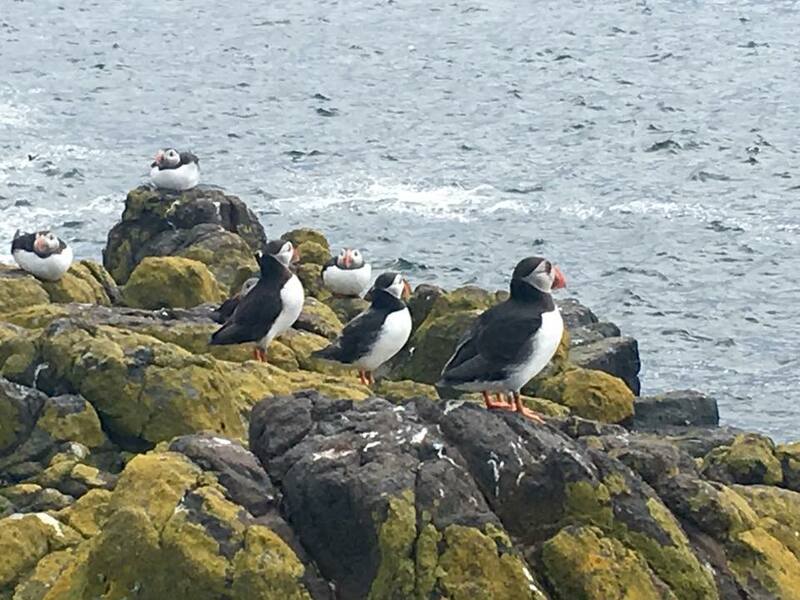 The boats leave from Anstruther Harbour and take around 1 hour to reach the island, which is home to 120,000 puffins during breeding season. There are also guillemots, razorbills, shags, seals and even whales if you are lucky. If I can’t go to the Isle of May I’d spend the day in St Andrews. If the reason I can’t go is because it’s too windy then that is the perfect excuse to go to West Sands beach in St Andrews and go land yachting with Blown Away. These two guys also provide paddleboarding, surfing and kayaking. I’ve recently discovered a small restaurant called Dr Noodle on Market Street. They have six branches across Scotland and serve healthy noodle and rice dishes at a pretty great price. We take ours outside and enjoy people-watching. Another thing I love about this place is the lack of plastic. In my entire meal only the handle was plastic, everything else including the cutlery, straws and tub are paper. I enjoy shopping in St Andrews, especially small independent shops like Bonkers and Topping and Company. There is also the Skye Candle Company whose candles smell amazing. I also always stop at Fisher and Donaldson for one of their famous fudge doughnuts! The recipe is so sacred it's split in two and hidden in five different locations! I’d finish of the weekend with a bit of shopping at Balgove Larder. I always stop here for some veg to take home so I can make soup. Their fresh bread is delicious too. 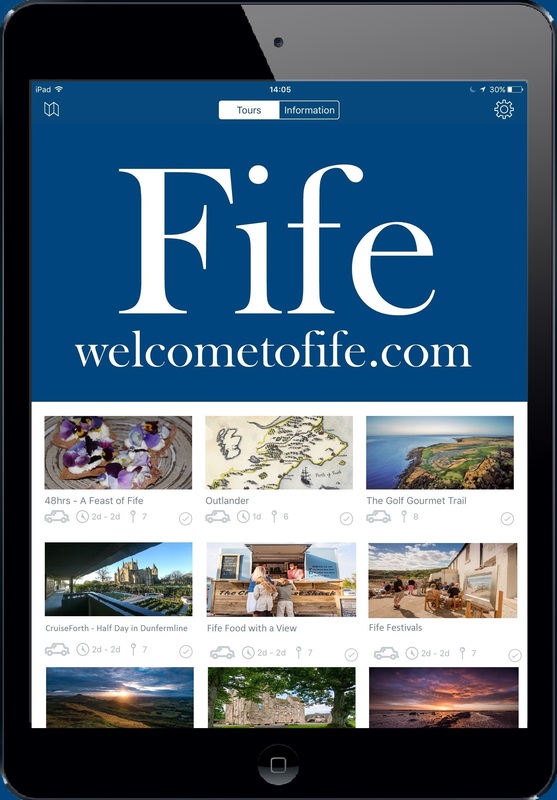 What would be your perfect Fife weekend?